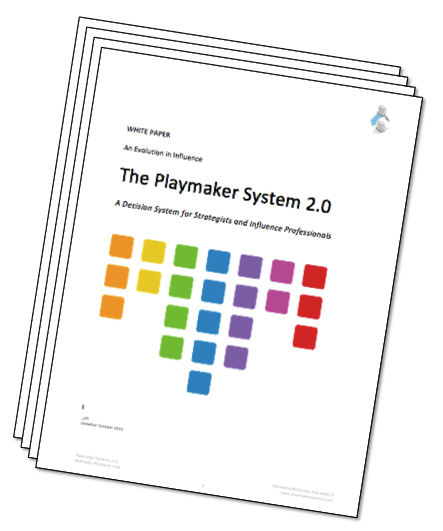 This White Paper describes the evolution of the Playmaker Influence System, from the inaugural 1.0 system as originally presented in 2006, to the 2.0 system unveiled in 2012. Explains reclassification in The Standard Table of Influence. Details the development of Playmaker Standard Guidance™. Reviews changes to risk/reward and transparency ratings. Memorializes failed plays and previews new candidates. Please download and print your free copy here.